We are learning about symmetry and finding a fraction of a set. 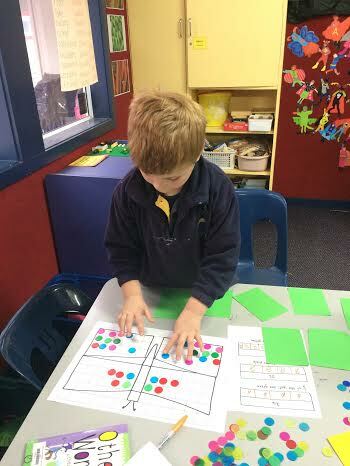 We are working really hard at problem-solving and checking our thinking. Butterflies all around the world have different shapes and patterns on their wings but one thing is the same on all butterflies they are symmetrical. 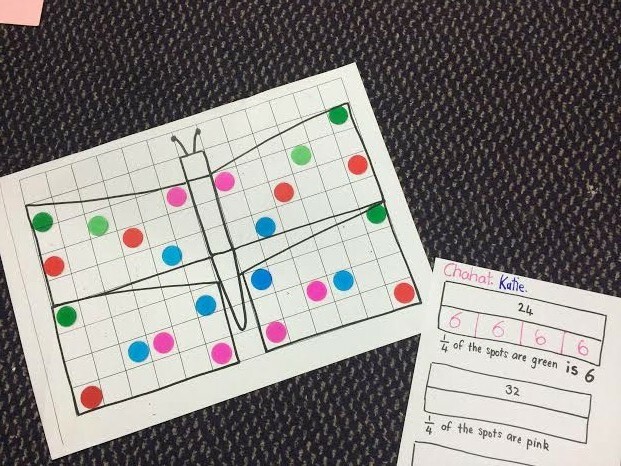 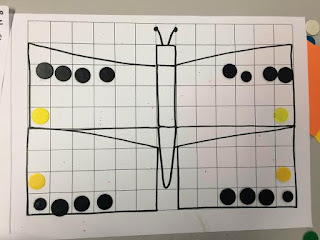 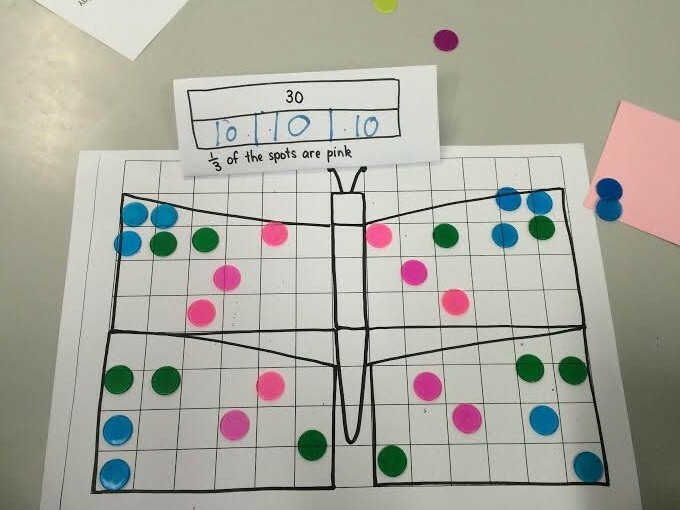 What could the butterflies in each problem look like? 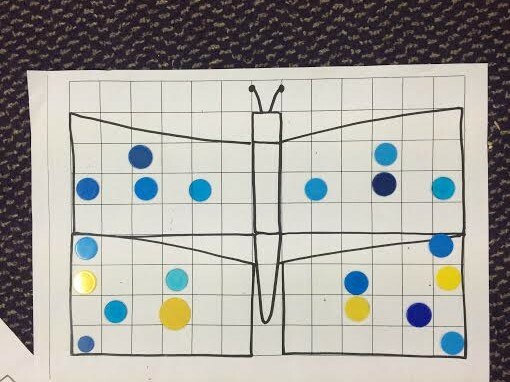 1/5 of the 20 spots are yellow. 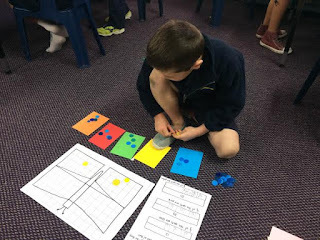 Jack skip counted and added a bit more to each group to work it out. than Jack's but have both solved the problem. 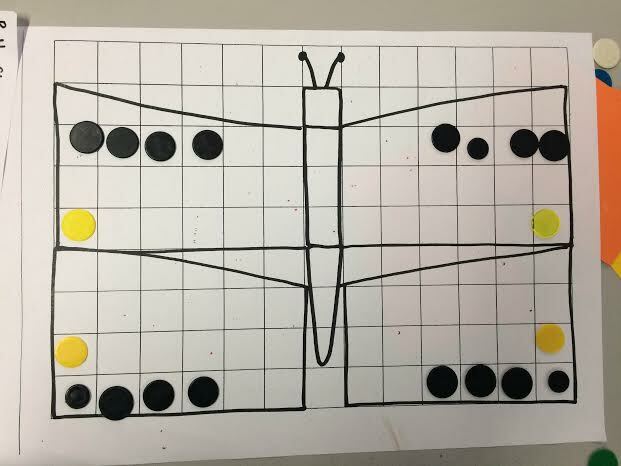 1/4 of the 24 spots are green. 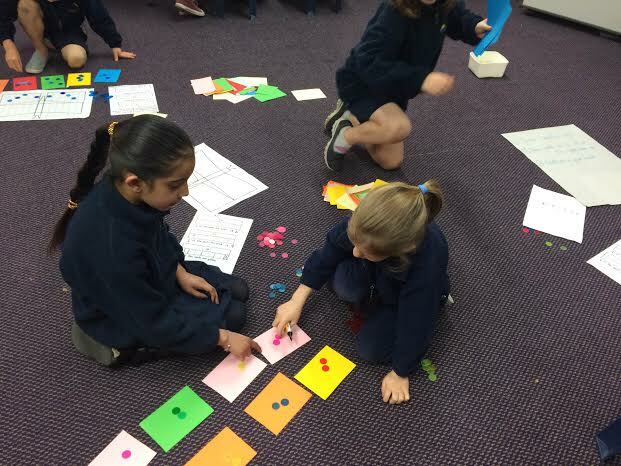 Chahat and Katie used a bar to help them solve the problem. They broke the bar into 4 groups and worked out how many would be in each group by skip counting in 5s and then adding 1 more into each group. 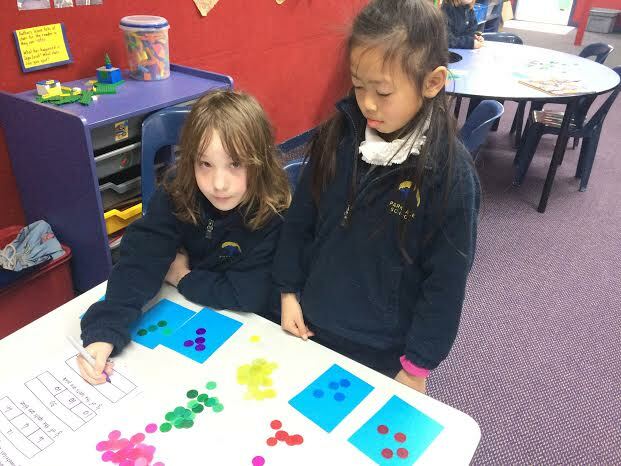 Erin and Nevaeh used skip counting to find 1/3 of 30. 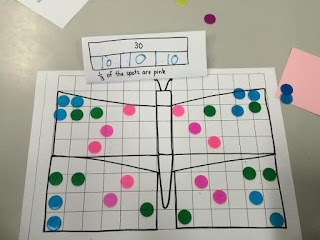 1/3 of the 30 spots are pink.